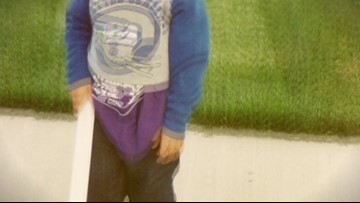 Growing up as the young kid sister, Emily Pfalzer was so determined to be included in the family fun that she put on skates when she was only two-years-old. Emily Pfalzer was so determined to be included on the family fun that she put on skates when she was only 2-years old. Now she's representing Team USA at the Olympics. 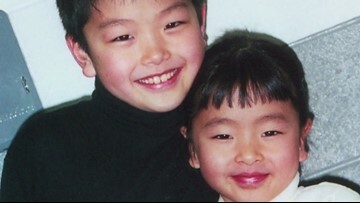 Maia and Alex Shibutani are partners on the ice - but they're also brother and sister. That's a lot of time spent with one another since an early age. Even when Chris Kinney is training hundreds of miles from home there's always been someone a quick call away, who has championed his every adventure. Even when Chris is training 1,200 miles from home there's always been someone a quick call away, who has championed each and every adventure. 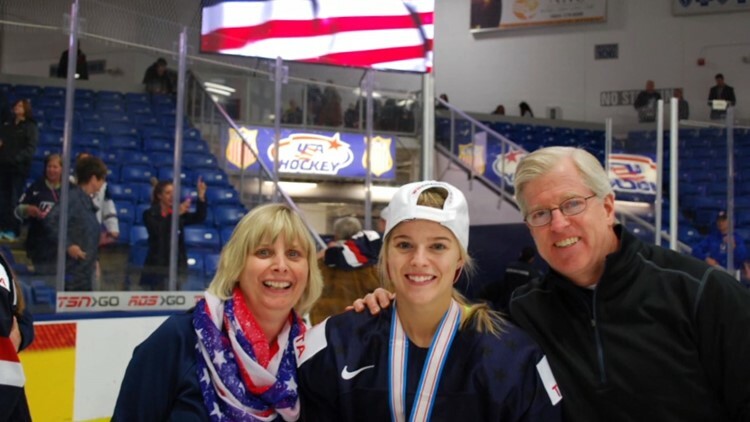 While Lindsey continues to rack up wins on the slopes, her mom is right there watching. Lindsey Vonn's mom says meeting a U.S. skiing sensation when she was younger played a big part in her Olympic journey. Even when distance pulled them apart, JR Celski's mom has always been there to support him and the family has boxes of tapes to prove it. 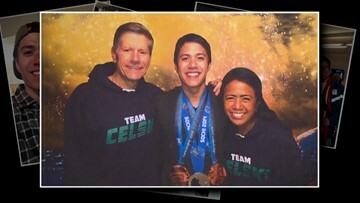 Short track speed skater J.R. Celski gives a lot of credit for his success to his two older brothers and his parents. It's taken a lot of work for Penny Fletcher's boys to make the Olympics. But she says in the case of her oldest son it's something that helped save his life. 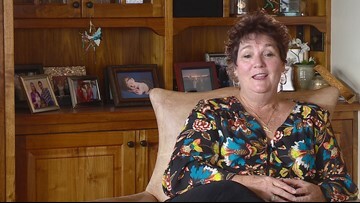 Penny Fletcher has had the joy of watching boy her sons compete at the Olympics. It took a lot of work and in the case of her oldest son, it's something that helped save his life. Susan Hubbell has handmade all but two of her daughter Madison's costumes throughout her skating career.